I think it is too early to tell. 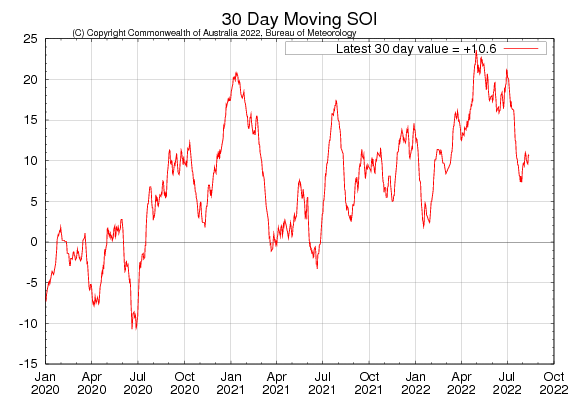 The SOI is very similarly to this time last year.It is very likely that the SOI for October will be more than plus 10 as last year. The question is will it stay above 10 as it did in 2010 when there was record rainfall in SE Qld in December leading to floods in Jan 2011. I have a feeling that the rainfall during our summer will be closer to average and that a La Nina will be more likely in 2019 or 2020. Cycles of extended periods plus 10 and minus 10 for the SOI seem on my analysis back to 1900 occur approximately every ten years. (or just over). Is that something to do with Jupiter? 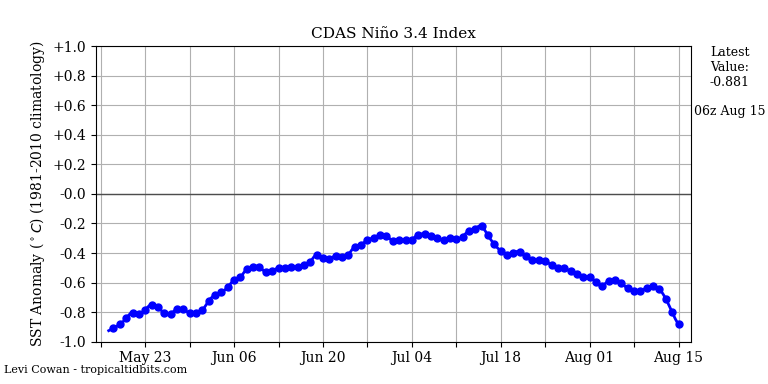 According to NOAA the La Nina is already occurring. 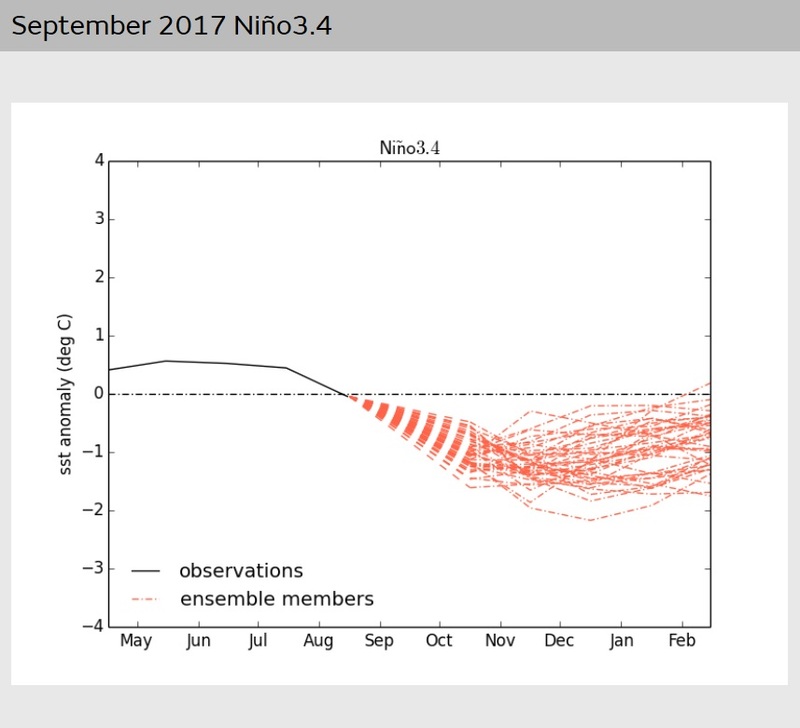 BoM: late-season La Niña still possible. My interest is in finding whether the Quiet Sun effect will allow it to happen. They keep forecasting nino/nina events that don’t, just lately. Due to the decrease in solar activity (meridional jetstream), La Niña can not develop. The hurricane will cause flooding in Louisiana. October 11 is a predicted magnetic storm. Now the geomagnetic activity is low, as can be seen on the seismograph. 1257 Samalas eruption: It is possible that the 1257 Samalas eruption helped trigger the Little Ice Age. Other volcanoes in the region are Agung, Batur and Bratan on Bali, west of Lombok. For comparison, the 1991 eruption of Pinatubo ejected only about a tenth of Samalas’s sulfur. The Samalas eruption came after the Medieval Climate Anomaly. Freezing Laptev Sea separated from each other two parts of the Arctic Ocean, which freeze at different rates. The part between Siberia and North America freezes faster. Does the ozone hole decrease? Observations show that the size of the ozone hole changes every year. The chart below shows that the ozone hole was very big in 2015. This year, the peak of solar magnetic activity has occured. Below the plot of the ozone hole and solar magnetic activity. Unfortunately the record of El Nino/La Nina predictions have all the stability of a teenage crack addict winning the lottery. Come back at the end of the month and most likely it will show a completely different scenario.